It is a great pleasure to have Archana Vijay of Tangy Minds here for a guest post. She is a great baker and a wonderful blogger. We both share the same interest of Wilton cake decorating courses- I have just completed level 1, while she has finished all four courses.So I know the amount of work, effort and dedication required for these courses. And I was awestruck to see her grand finale cake, a tall, multi-tiered cake. it was so beautiful. When I asked about her motivation to start blogging, the answer is here in her own words, "After I came to the USA,I used to feel lonely at free times and it made me very bored.When I switch on the TV it was Food Network Show.It makes me to watch daily and I loved it.First I began baking Banana muffins and it came out well..That is the beginning of my baking life.MY Hubby and my friends asked me to do blogging ! I was quite blank as I never known it..Day by day..I started learning it and I was quite happy with my blog and of course got lovely blogger friends :) "
This post makes me happier as I had celebrated my birthday as well as my anniversary at the same time. I had got Divya as my very wonderful & loving friend. She is very intelligent, also busy bee. I have got her from our baking group. I like to chat with her and my mom also chatted with her. I got quite surprised that how my mom does knew her? She said am her friend and she likes to chat with my friends. Her blog is very amazing with full of traditional recipes. When she asked me to do a guest post and I immediately said sure and love to do it. When I asked regarding my recipe, She said it is one of her favorite. Am glad that my recipe is liked by her. It made me so happy. 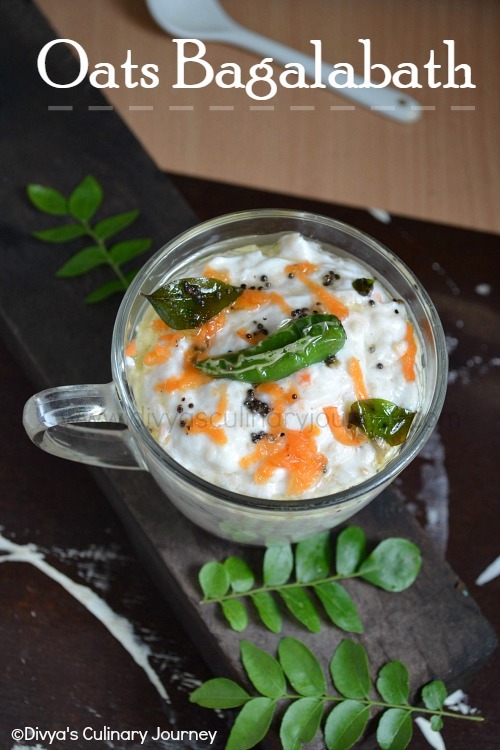 Here is the recipe that I am sharing it with you all. It’ll be great for everyone to bake it on any occasion. Herewith am sharing this recipe called as “BLACK FOREST CUPCAKES” . ½ to 1 cup Cherries freshly one. In a medium saucepan, add milk, butter, oil and cocoa powder to it on medium heat. Allow the butter to melt completely. (Do not put on high heat) Stir once ill it gets brown color. Allow it to cool at room temperature. Preheat the oven to 350 F or 180 C, line muffin cup papers on the muffin pan and set aside. Whisk together baking soda, self-rising flour, sugar into the bowl. Add beaten egg along with dry ingredients as step 4 by using electric stand mixer or hand mixer. Mix well until it is well incorporated. Add the egg flour mixture to the cooled butter cocoa powder mixture. Continue to stir until it is well mixed up. Transfer the batter to the muffin cups. Do not overload. Bake it for about 15 to 20 minutes or the tooth pick comes out clean after inserted it. Add water and sugar into the medium saucepan. Allow it to boil until the sugar is completely dissolved. Add corn starch and chopped cherries to it. Continue stirring on medium heat until it is thick one. Allow it to cool once turned off the heat. Transfer it into the piping bag or you can use spoon to make hole inside the cooled cupcakes and insert the cooled soaked cherries to it. In clean bowl, whisk all the ingredients together till you get peak forms. 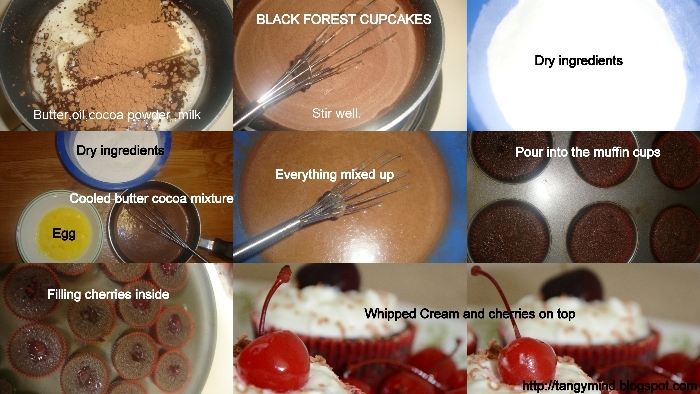 Take cooled cupcake, Make a hole and insert the cherry jam or soaked cherry syrup or chopped cherries. Take a piping bag, put the whipped cream to it and pipe it on the top of the cupcake. Garnish It with chocolate shavings and a cherry on the top. Thanks for doing a wonderful guest post dear. Lovely cake.. So beautiful, wish I could taste it. Wat a beautiful cupcakes, cant take my eyes from the pictures. Glad to know more about Archana,she is indeed a fabulous baked. Beautiful guest post too. Can I grab one cc pls......drooling here!! Nice write up n inviting cup cakes, my wishes to both of u!!! Congrats to both of you,lovely cup cakes. 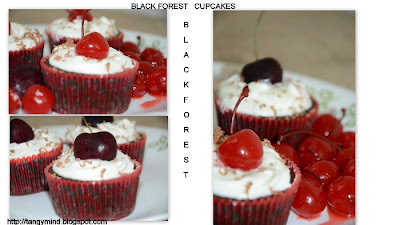 Wonderful post, the cupcakes look so cute and yumm..
Lovely black forest cup cakes...Beautifull done Achu...Happy to know about you and great work gals..
Gr8 idea.. the black forest cup cakes look so cute. Cooool and awesome...Lovely idea and super tempting!! Wish I could taste this! Beautiful cupcakes Great post Archana and Divya.